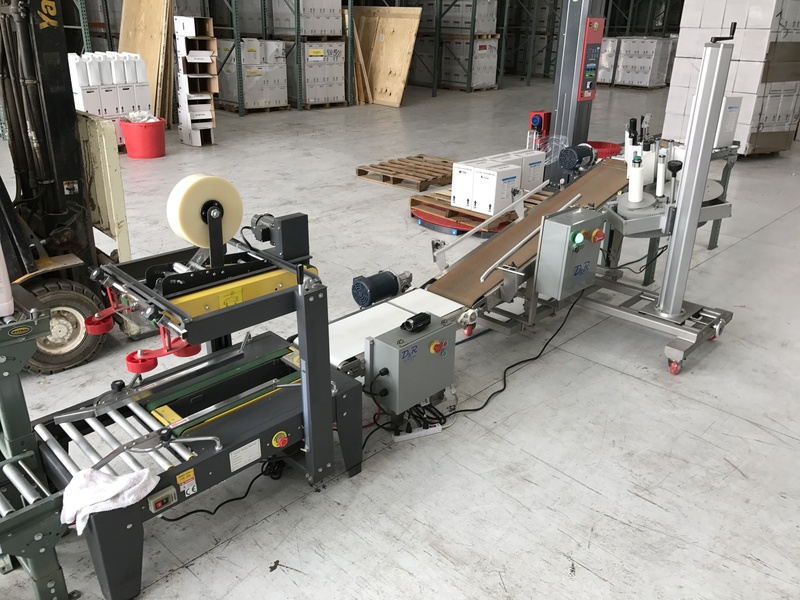 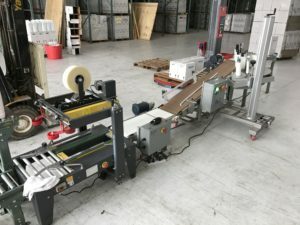 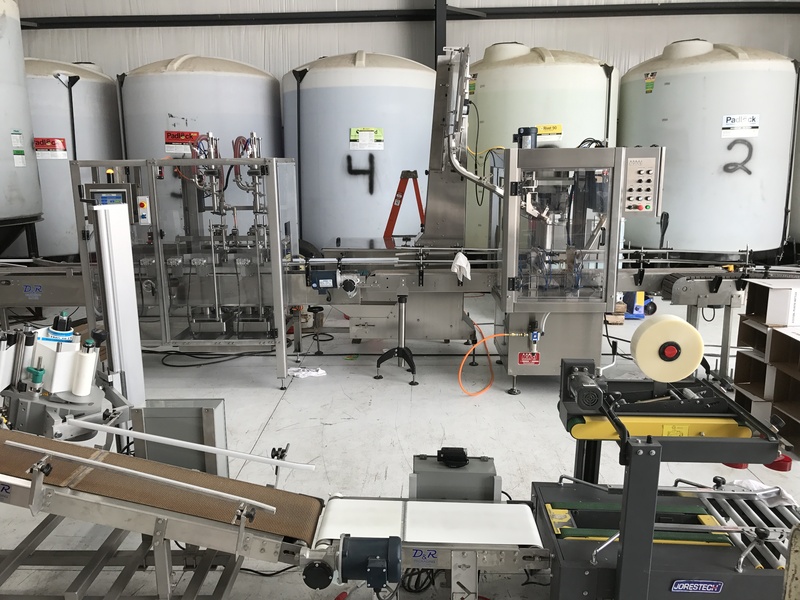 We recently designed a custom bottle filling line that can fill ten to fourteen 2.5 gallon jugs per-minute, depending on the product. 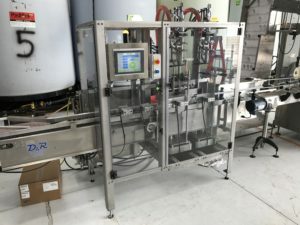 It features a custom built stainless steel conveyor, Gating system, and Two-Headed Net Weight fillers. 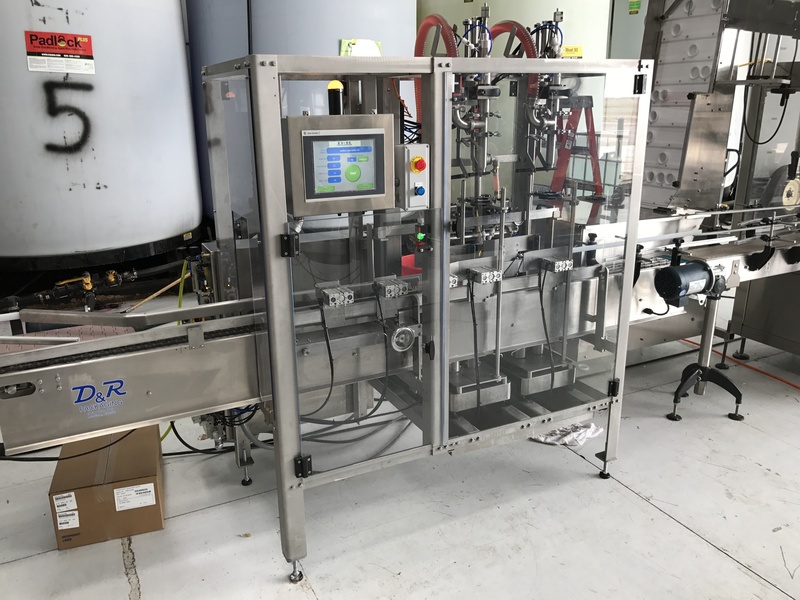 The system also includes: Wipe on labeler, Allen Bradley PLC and Touch Screen Controls, Two-Headed Net weight filler with HMI screen, neck locators, individual net weight filler, high and low speed, automatic chuck caper, zero-back pressure accumulation conveyor with induction sealer, case packing station with an automatic case taper and incline case labeler. 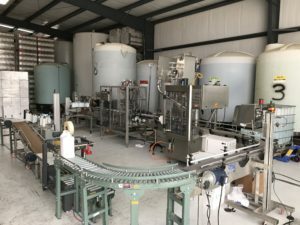 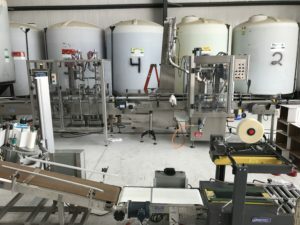 The line allows for 2.5 Gallon jugs to be labeled, filled, capped, sealed, packed, packaging labeled, and then palatalized in one clean system. See a video of the line on our video page, or follow the link below.